Mix ingredients together. Don’t be afraid, get in there with your hands and get messy. Form a patty that is about an inch thick. I made 5 good size burgers. Mix vinegar, soy sauce, sesame oil and brown sugar in a small bowl. Toss with cabbage. Set aside until burgers are done. Grill burgers for about 8-10 minutes over medium high heat until juices run clear. Throw the burger buns on the grill and lightly spray with butter flavored cooking spray. Grill until just toasty. 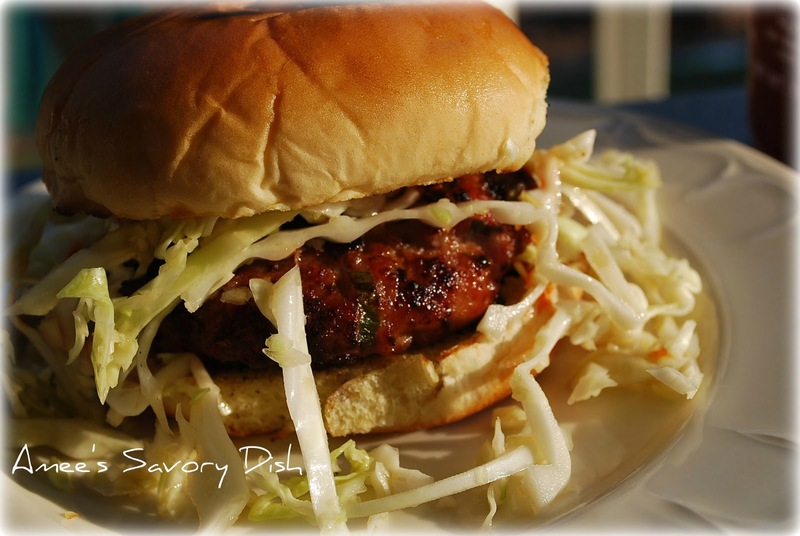 Top burgers with slaw and serve with your favorite condiment. 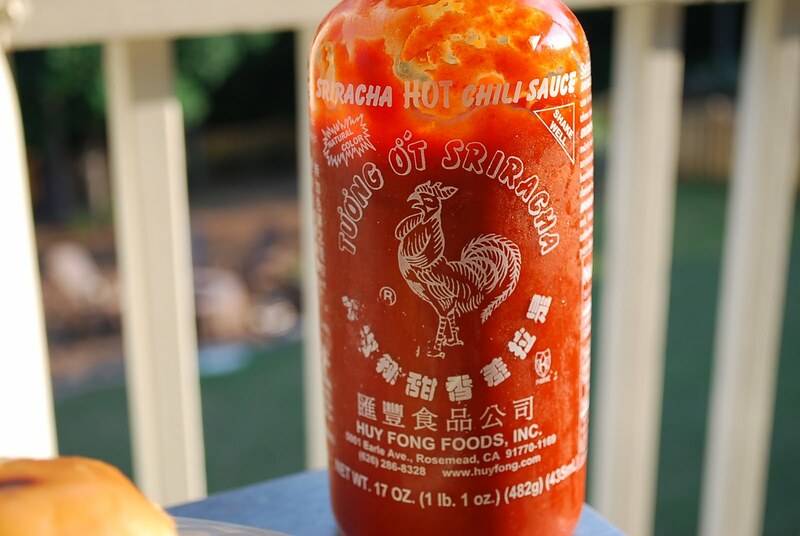 We love the sriracha sauce!! 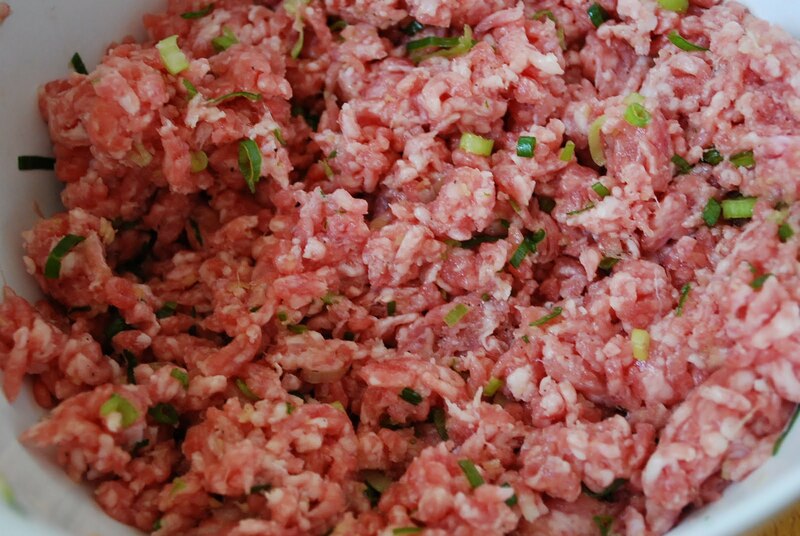 Ground pork burgers seasoned with Asian spices, grilled, and topped with tangy Asian slaw. Mix all ingredients except buns together in a large mixing bowl. Don’t be afraid to get in there with your hands and get messy. Form 5 patties that are about 1 inch thick. Chill in refrigerator for about one hour. Meanwhile, make the slaw. Mix vinegar, soy sauce, sesame oil and brown sugar in a small bowl. Toss with cabbage in a large bowl. Set aside until burgers are done. 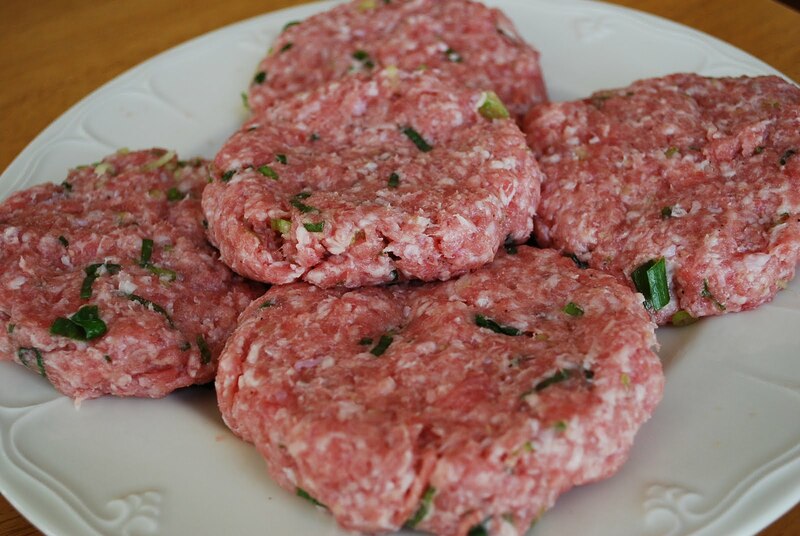 Place patties on a plate and refrigerate for about one hour. Meanwhile, make the slaw. 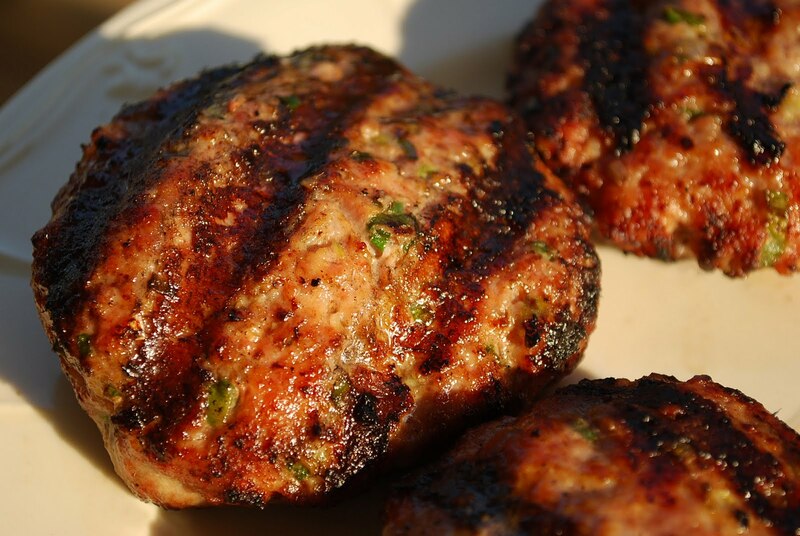 Grill burgers for about 4-5 minutes per side over medium high heat, or until juices run clear. 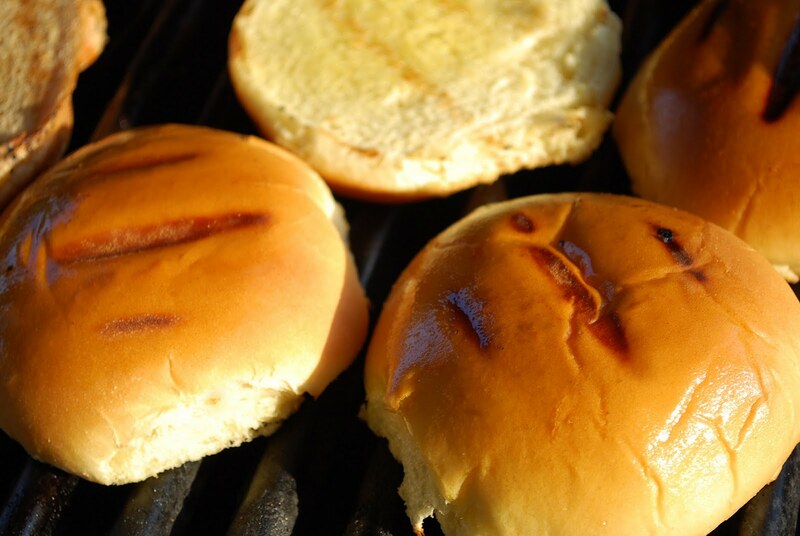 Lightly spray cut sides of buns with butter flavored cooking spray and place them cut side down on the grill. Cook for 2 minutes, or until lightly toasted. 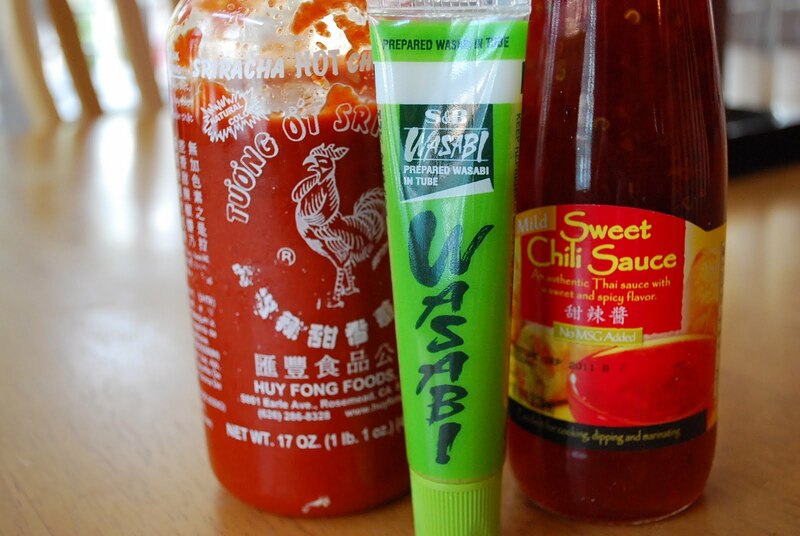 Place burgers onto bottom sides of buns and top with Asian slaw and your favorite Asian condiments, such as sriracha, wasabi, or chili sauce. I am going to try this! 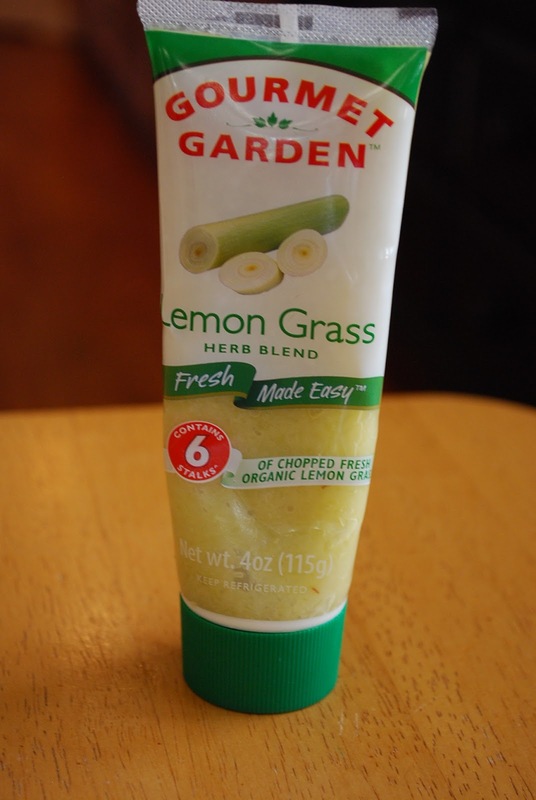 I made one last summer from Bon Appetite that we liked but this looks good too! Amee, these look & sound great! Can’t wait to make & serve ’em up sometime soon! Could I do without the fishsauce in the recipe? Oh these look great! 🙂 found this one on the grilling recipes linky at family fresh meals! Thank you, Angie! They are so delicious! !